I finally got my shipment of ABS plastic in. I was at my wits end with HDPE! No success at all. To put weeks worth of work simply... HDPE was too soft for me to use a pinch wheel extruder and I just couldn't get the drive screw extruder right. 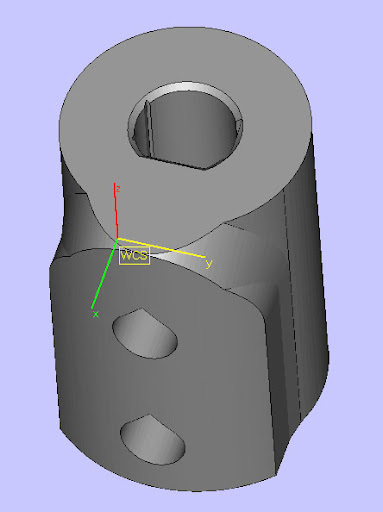 Once I am a pro at printing things I plan on printing nophead's solution. 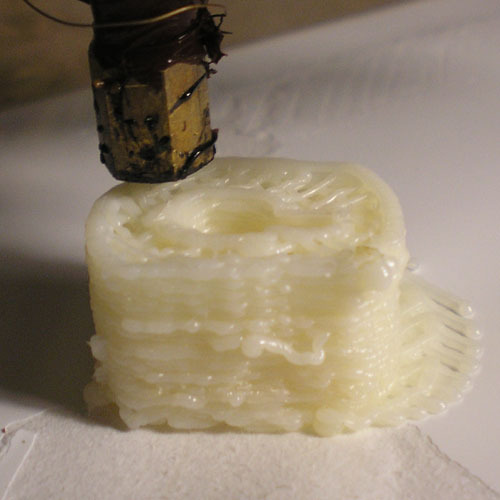 ABS worked the first time with my pinch wheel extruder... or the second time, rather. I spent most of the night trying to figure out why the RepRap host software kept crashing. It turns out that with a system with only 512MB of RAM the visual aid runs out of memory and crashes the host. 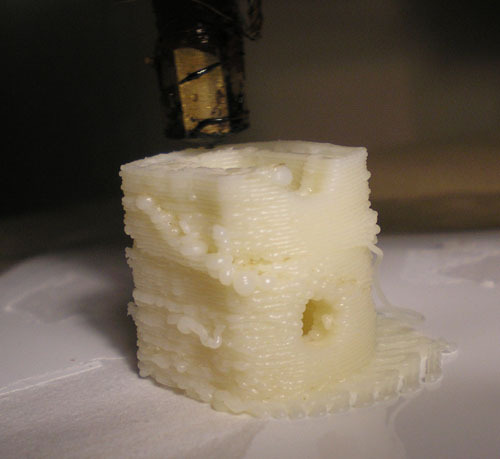 To get around this I generate the GCode and send it to a file. Then I read in the GCode file instead of the 3D STL model. Tonight I had my first successful print! I printed a Z axis motor coupling since my electrical tape solution keeps failing me. I really like that I am able to better my machine on my first print! Here are some pictures while printing. Here is the final product cleaned up a bit. 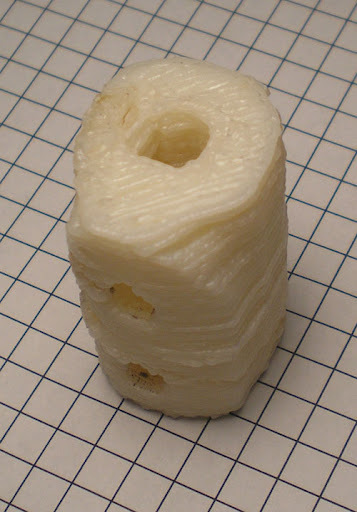 Here is a screen capture of the 3D object I printed. As you can see, I got what I asked for. Of course, I had to video such a momentous occasion! Unfortunately, there is no sound. You will have to take my word for it that it is very quiet! My first successful print... from gavilan on Vimeo.